Snow Shoeing in the Cascade Mountains! I went to the mountains three weeks ago with my friends, the VanDerhoef family. 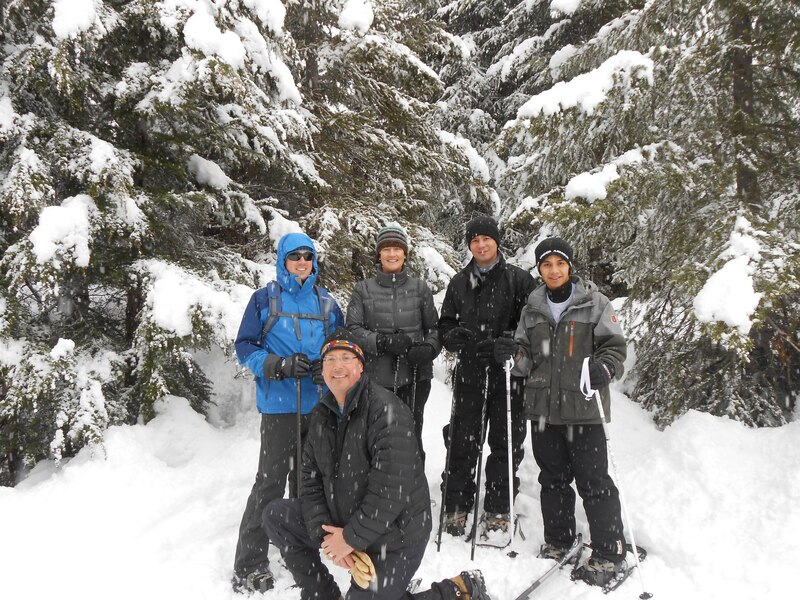 My mentor Kathleen invited me to try to do Snow Shoeing. I didn’t know what that was, but I decided to go. Snow Shoeing is walking in the mountains with specials shoes on the snow. Now it is the winter season and in the mountains it is often snowing and the landscape is white, all the trees are covered with snow. It is so beautiful. We walked in the forest, sometimes we played with snow balls and also we ate snow. There were many people including kids. When we went back we decided to take another way. We supposed that it was shorter, but we were wrong. We walked a lot, but we never found the place that we wanted. In this moment we knew that we were lost. It was necessary to use GPS, fortunately the cellphones have it. For a while I was worried because we didn’t find the the right way, also my legs started to hurt. Finally we found the correct way and then I felt so happy. It was an amazing experience for me because I love the snow. Also I learned that I can’t eat yellow snow because is not healthy. Another lesson that I learned is that taking the shorter way doesn’t always make life easier. This entry was posted in Community, Family, Seattle by larkinvanderhoef. Bookmark the permalink.